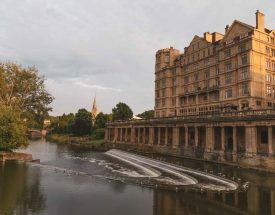 Enjoy magical walking with long distance views from the Cotswold escarpment on a journey through picturesque villages, stunning woodlands, pretty pastoral scenery and past famous ancient sites, ending in the World Heritage City of Bath. 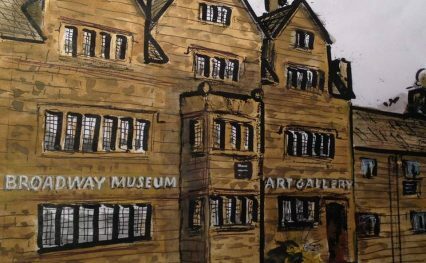 Explore the Cotswold Way for three days, a week or even longer. Find inspiration for your walking adventure using our suggested itineraries, or select one of our bookable itineraries which are highlighted with a star. 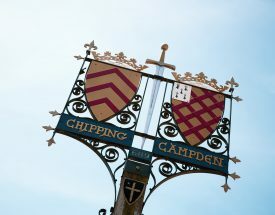 Soak up amazing views and stunning panoramas on this fully-guided 11-day itinerary from Bath to Chipping Campden. Explore beautiful countryside on a 10-day journey taking in quintessential villages, stately homes, gardens and castles along the way. 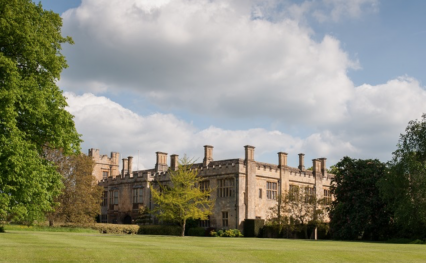 Relax and spend 5 days revelling in gorgeous scenery along the idyllic northern section of the Cotswold Way. 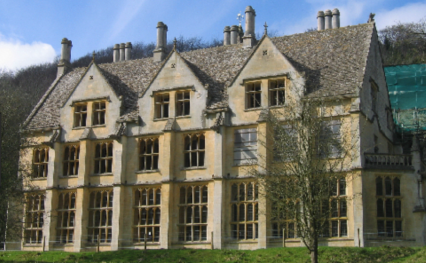 Explore the central section of the Cotswold Way over 5 days, starting in historic Painswick and ending in charming Tormarton. 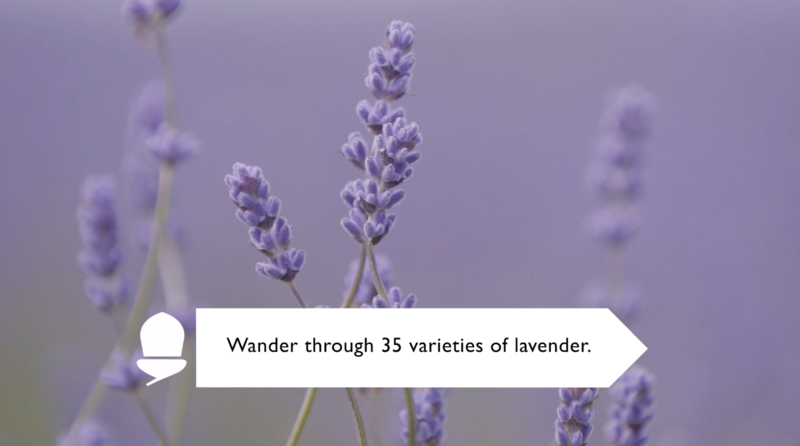 Find useful facts and learn more about the Cotswold Way below. Select the blue tabs below for more details. 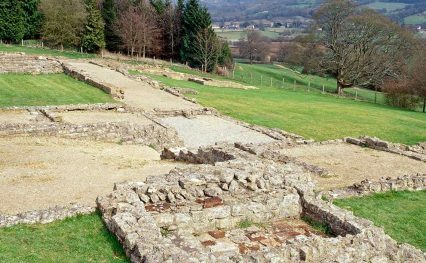 Extending from the quintessentially English market town of Chipping Campden to the Roman city of Bath, the 102 mile (164 km) Cotswold Way has existed as a promoted long-distance walk for over 40 years. Following the western edge of the Cotswold Hills, the route journeys through rolling pastures, beech woodland and honey-coloured villages built from Cotswold stone. You will explore ancient commons in an Area of Outstanding Natural Beauty, pass Neolithic burial barrows, stately homes and historic battle sites. 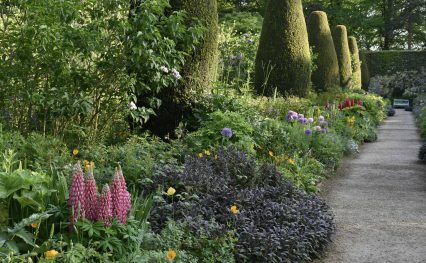 The stunning path along the Cotswold escarpment offers ever-changing views to the west towards the River Severn and the Malvern Hills. Anyone who is reasonably fit can walk the Cotswold Way, although many walkers are surprised at the frequency of steep climbs. The National Trail is very well way-marked so following the route is easy. But it is always a good idea to take a guidebook or map. The Cotswold Way can be walked in all seasons. 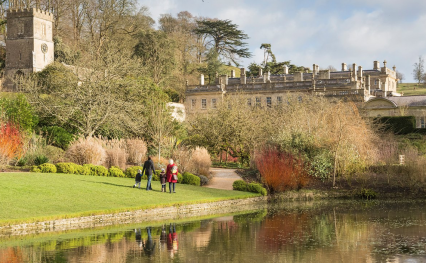 However, if you want to enjoy clear views from the Cotswold escarpment, then crisp winter days, autumn and spring may be the best time to visit. Late spring and early summer are great times to see the grasslands in all their glory and the beech woodlands are at their best in spring and autumn. 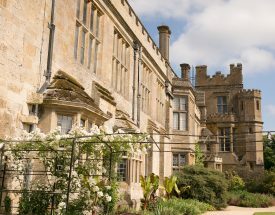 Renowned for its sheer diversity, the Cotswold Way incorporates some of England’s prettiest villages and passes historic sites such as the City of Bath World Heritage Site, the Neolithic burial chamber at Belas Knap, Sudeley Castle, Hailes Abbey and many churches and historic houses. One minute you will be in wildflower meadows, the next shaded woodlands. 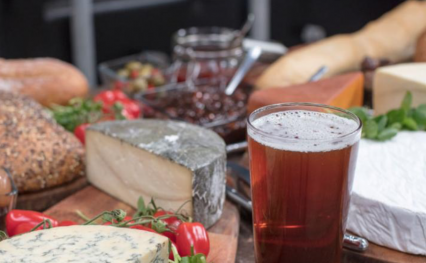 You could breakfast in a sleepy village, lunch in a thriving market town and eat dinner under the stars – no two days will be the same! The closest airports to the Cotswold Way are at Birmingham and Bristol. Both airports are located 60 to 90 minutes away by car. London Heathrow Airport is 90 minutes away. Both airports offer excellent public transport links. 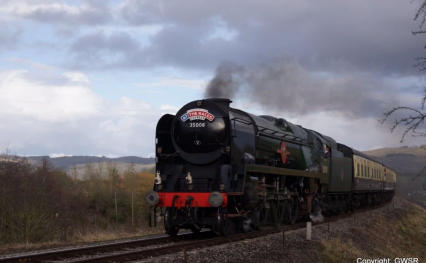 Reaching the Cotswolds Way by train is easy and the area is at the heart of the British Rail network, with main line trains connecting to London, the Midlands, the North and the South West of England. 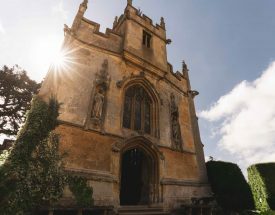 Moreton-in-Marsh is the nearest main line train station to the start of the trail at Chipping Campden, so you will need to use a bus or taxi service to complete the journey to Chipping Campden. Other well-linked railway stations along the route can be found at Cheltenham, Stroud and Bath. There are many local bus services linking main towns close to the Cotswold Way, including the RailBus services linking to the Cotswolds and Malverns Line trains. You can find up-to-date information at www.traveline.info. 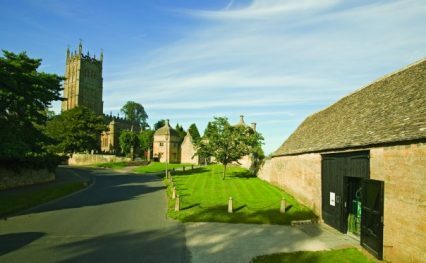 The Cotswold Way has excellent road links to the M4, M5 and M40, providing easy access to and from London, Birmingham and the national motorway network. This National Trail passes through the very best landscapes – places you may want to explore for several days at a time. From cosy country inns to characterful cottages, we’ve got your accommodation near the Cotswold Way covered. You can find accommodation along the trail by using our interactive map. 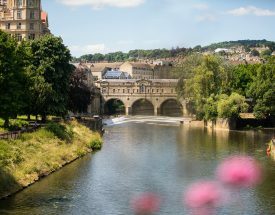 Explore the honey-coloured Cotswolds and find picturesque places to visit, Neolithic sites and fascinating attractions, ending in historic Bath..